Creating and managing a successful pay-per-click (PPC) campaign is hard work. There is no magic formula you can apply that leads to instant paid advertising success. In the pay-per-click world, there is a budget that needs to be set, there are keywords to bid on, and an audience that requires segmenting—and that’s barely cracking the surface of the things you need to manage to run successful paid campaigns. While every PPC campaign is unique, the most successful campaigns share organized characteristics. In this blog, we’ll help make your paid campaigns successful by highlighting four PPC mistakes that most marketers make. We’ll also explain steps you can take to by-pass those mistakes to generate positive ROI. The idea of creating ads and leveraging conversions/sales from those ads is quite appealing. Perhaps this is why most marketers jump into creating ads without a clear understanding of goals, and a strategy of how they’re going to turn those goals into a reality. Before you start visualizing conversions rolling in from your ads, take a step back and pinpoint your target audience. … How can you create ads that have the power to persuade them to click? Get to know your target audience better before selecting keywords and writing ad copy. Each paid ad campaign should be like a snowflake—one of a kind and unique. Even if you are creating a campaign for the same offer on different channels, it shouldn’t be the same. When you don’t consider audience variances for different paid channels, you don’t correctly segment audiences for those channels, which adversely affects your ROI. Search traffic: These prospects are actively looking for solutions to their problems or products they want to buy. They have higher buying intent coupled with high motivation so you can be more aggressive with selling using the relevant keywords they used in their query. Display traffic: These people are not actively pursuing solutions, they are merely browsing the web, going about their business. They have low buying intent and motivation. This is why soft-sell ads work best for this type of audience. Social traffic: Social media users share characteristics with display audience as they aren’t actively looking for solutions. Softer-selling ads also work well for them. The search ad is aggressive talking about what the tool can do and asks users to click through the ad to try it for free. Don’t use the same ads and subsequent landing pages for all channels. Instead, optimize your campaigns for individual channel audiences to get the PPC traffic most likely to convert. Since PPC marketing requires you to pay every time a user clicks your ad, it’s important that every user who clicks is someone you want to be clicking. Managing exclusion lists in your PPC advertising platform helps you reach audiences who are relevant to your business. This helps increase the likelihood your ads are clicked and reduces your advertising costs. Similar to excluding specific keywords from your campaigns, you can remove specific audiences from your marketing list if you believe they are not the right match. For example, excluding existing customers from seeing your remarketing display ads. The most common mistake that PPC marketers make is to look at an ad as an isolated unit instead of a precursor to the post-click experience. An ad click doesn’t translate into conversions. It’s only one part of the journey that users are about to embark on. Where you direct them after the ad click determines whether you earn a conversion or not. Connecting PPC ads with a relevant post-click experience ensures that user expectations are met at the post-click level. Ultimately, you are looking for the messaging on your pre-click experience to match the message that a customer experiences during the post-click experience. This is sometimes referred to as “message match.” You can only achieve message match if you connect your ad to your homepage, product, or any other page on your website. 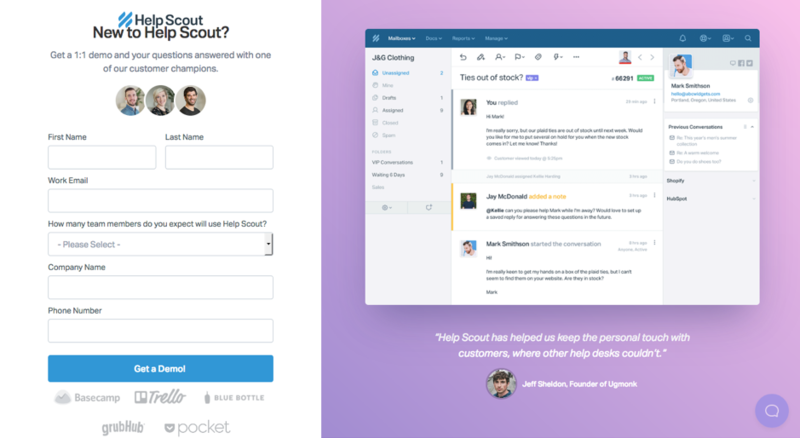 Let’s look at Help Scout’s ad and subsequent message-matched landing page as an example. The CTA button and image maintain message match and promotes the free demo highlighted in the ad. Moreover, there are no off-page navigation links present on the page that can take them away from the offer. When you optimize the post-click experience, you ensure that an ad click will also transition into a CTA click. By message matching and removing all navigation links you don’t distract visitors from the conversion goal. Failing to connect your PPC ads to relevant, post-click landing pages creates failed conversions. This nullifies all the time and effort you spent managing your PPC campaign—targeting keywords, segmenting traffic, and creating the ad. Creating and managing paid campaigns can be frustrating, especially when you’re not getting the results that you anticipated. 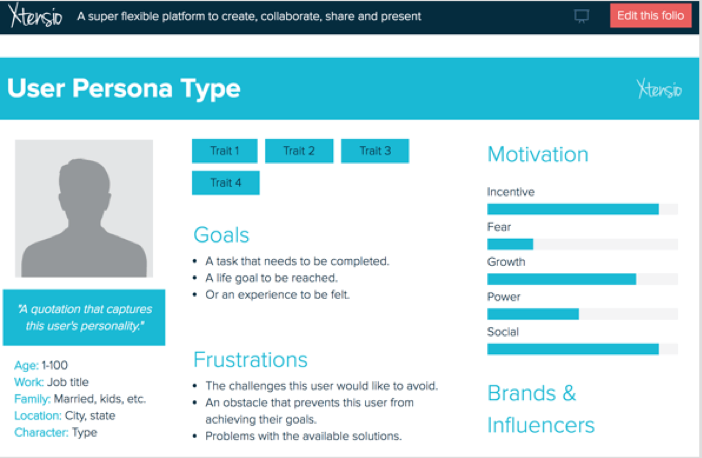 Give your campaigns a fighting chance by avoiding the mistakes mentioned in this post—establish buyer personas to tailor your ads to your target audience, segment different channel audiences, create exclusion lists to eliminate unwanted audiences, and always connect your ads with optimized post-click experiences.